"You Feel the Energy When a Team Walks Out"
Thursday at Nationals Park, the Washington Capitals and Chicago Blackhawks will face off in the 2015 Bridgestone NHL Winter Classic, the NHL's New Year's Day outdoor extravaganza. While there is no shared history between the teams, their recent play is enough to conjure up ample intrigue. 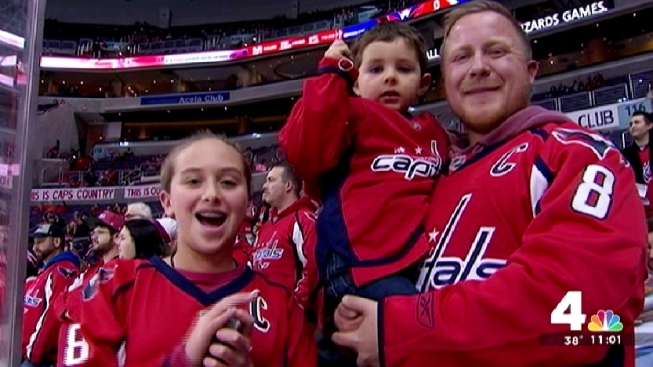 Before the puck drops at 1 p.m. on NBC4 (though there is a possibility for a slight weather-related delay), familiarize yourself with the Capitals and Blackhawks. Ted Leonsis: "Everything Will Be Flawless Today"
Ahead of the Winter Classic, Capitals owner Ted Leonsis said the game is a "love letter" to the city and to Caps fans. The Capitals hired coach Barry Trotz this offseason because they valued, among other things, his structured approach cultivated in 15 seasons with the Nashville Predators. After a slow start that saw Washington play soundly without the desired result, the team just completed a road-heavy December with an impressive 8-2-3 record. 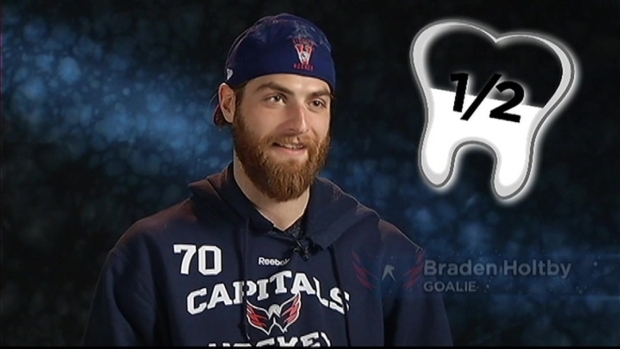 If you've ever wondered how many teeth your favorite Caps players have lost to the sport, you're in luck. Dianna Russini found out. As per usual, Alex Ovechkin leads Washington with 17 goals, but it's Nicklas Backstrom who leads the team in points with 38. Goaltender Braden Holtby started every game in December, posting a 2.13 goals-against average and .929 save percentage. While the Capitals still possess offensive skill that can take over games, they have found other ways to win, not relying too heavily on their potent power play and sheer talent. That type of play has them within six points of the Pittsburgh Penguins for the Metropolitan Division lead entering 2015. NHL.com: Capitals proving to be more than "one-trick pony"
Models of consistency, the Blackhawks are the second-best team in the NHL. Having won the Stanley Cup twice in the past five seasons, Chicago is looked upon as -- as Trotz described it -- "the gold standard" of the National Hockey League. Led by dynamic forward Patrick Kane and his more stoic counterpart Jonathan Toews, the Blackhawks have arguably unmatched roster depth. All four forward lines are capable of scoring, and their defense, particularly the pair of Duncan Keith and Brent Seabrook, is stout. 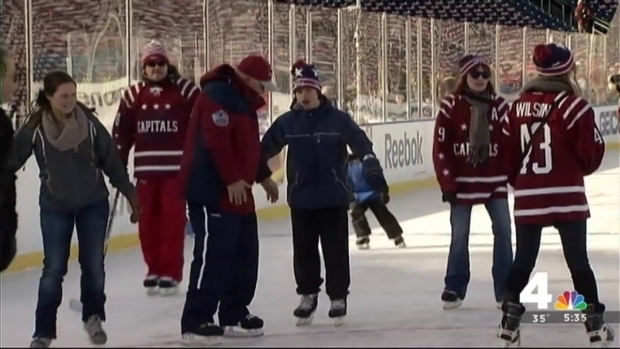 The Washington Capitals got to take their close loved ones out on the ice at Nationals Park Wednesday. The respective trajectories of the Blackhawks and Capitals over the past decade, minus the championships, are similar in many ways. Each team floundered, which afforded them franchise-altering draft picks (Kane, Toews, Ovechkin, Backstrom). They have transformed into contenders, though Chicago obviously has a distinct advantage in that area.